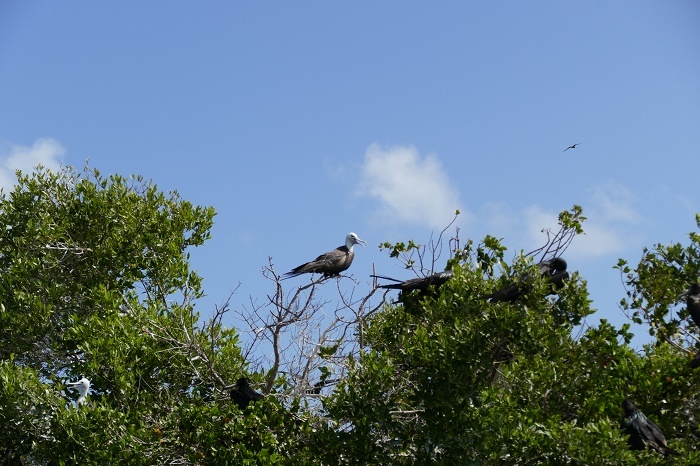 The Frigate Bird Sanctuary is an important and protected nesting area for the unique frigate bird population that migrates, and it is located in the northwestern part of the tiny Man of War Island, which is part of the Barbuda Island, within the sovereign state of Antigua and Barbuda. 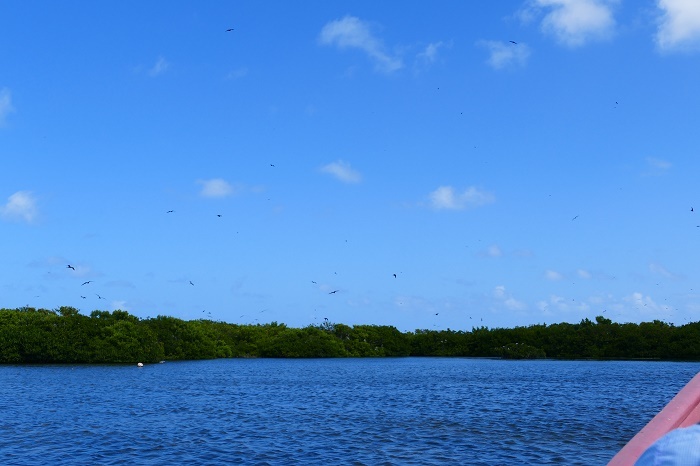 Separated from the main settlement of the island by the Codrington Lagoon, the site is proclaimed as the Codrington Lagoon National Park protecting the vast estuary which supports one of the world’s largest colonies of frigate birds. 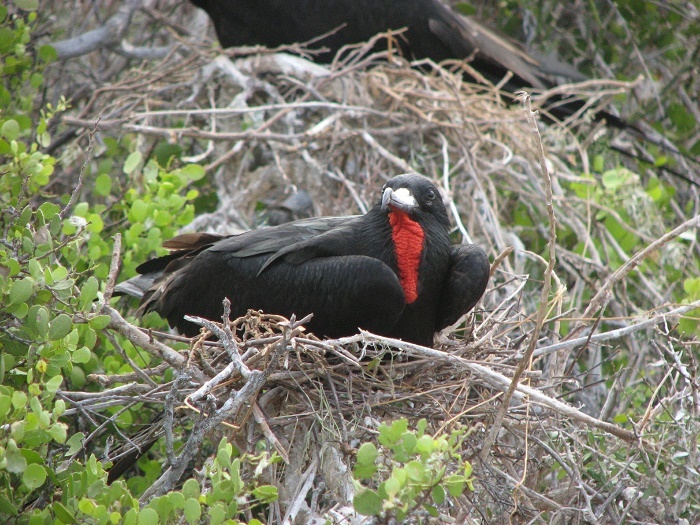 The magnificent frigates are traveling between the Caribbean and Galápagos Islands during the varying mating seasons, and depending from the years, it is estimated that there are always more than 2,500 of these black-feathered critters roost amid the scrubby mangroves. 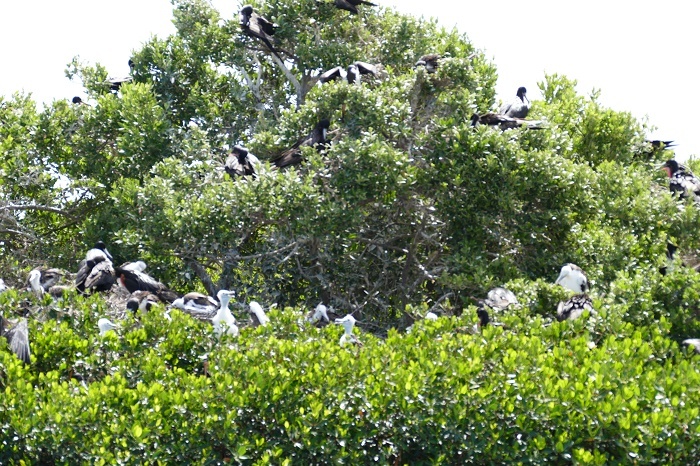 Even though that number is always disputed by the scientists who visit the sanctuary regularly, where some are even saying that there are around 100,000 birds, it is interesting that this is one of the largest bird sanctuaries in the world. 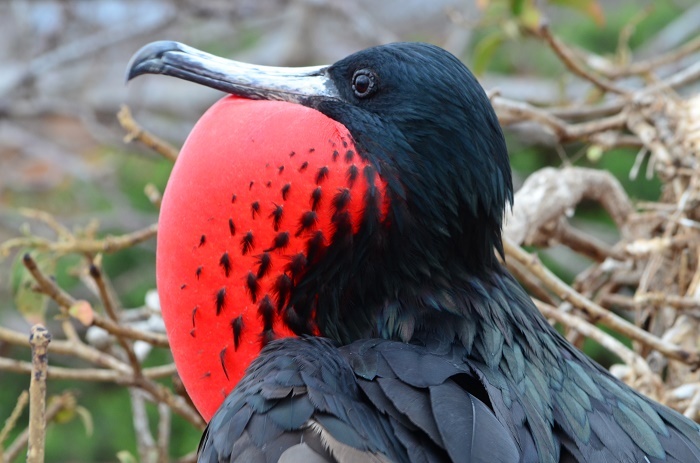 At breeding season, the males have remarkably beautiful scarlet throat pouch that is inflated like a balloon so that they would attract the best females. 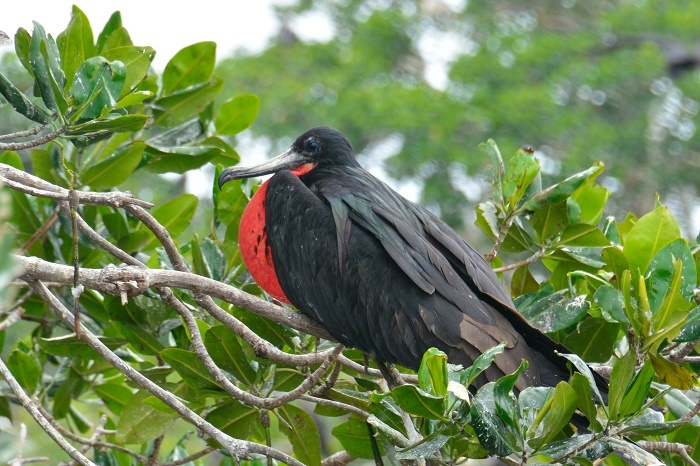 When a female chooses her mate, the pair settle onto a bough to meet and neck for a while, when later the male deflates himself and flies away to collect sticks and other materials for their nest, which he gives later to the female to use in construction. 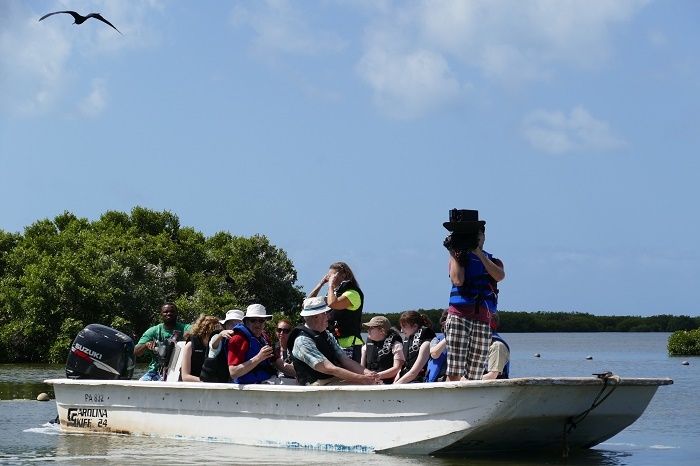 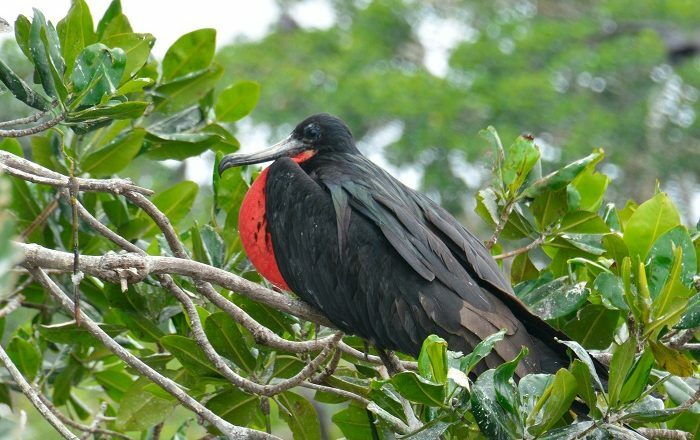 Fortunately, the Frigate Bird Sanctuary can be visited only by a licensed sea taxi from the Codrington jetty, which is a clear sign that the local government really tries to protect the habitat of these very interesting creatures. 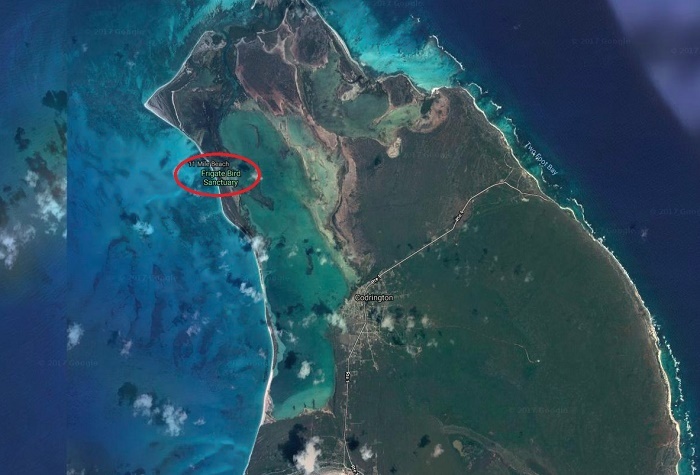 Still, with the ongoing stronger hurricanes showing up on the maps, the habitat is somewhat in danger from the rising sea level and strong waves, nonetheless, it is protected a bit from the small mangrove trees that are slowly but surely securing Barbuda’s greatest natural treasure.